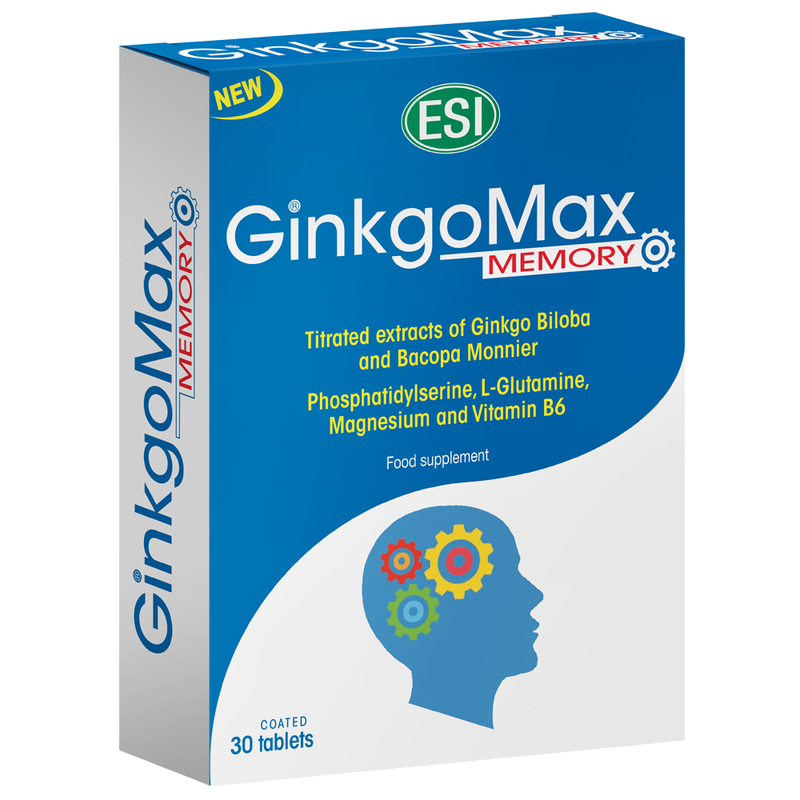 GinkgoMax memory - ESI S.p.A. - ESI S.p.A.
Dietary supplement based on standardized and titrated extracts of Ginkgo Biloba and Bacopa Monnieri, with Phosphatidylserine, L-Glutamine, Magnesium and Vitamin B6. Ginkgo and Bacopa promote memory and cognitive function. Magnesium and Vitamin B6 contribute to the reduction of tiredness and fatigue, to the normal functioning of the nervous system and to normal energy metabolism. Take 1 tablet twice a day with plenty of water. Warnings: Keep out of the reach of children three years of age or under. Do not exceed the daily recommended dosage. Supplements should not be considered a substitute for a balanced diet and a healthy lifestyle. If you are taking anticoagulants or antiplatelet drugs, consult your doctor before taking this product. Do not take while pregnant or breast feeding.